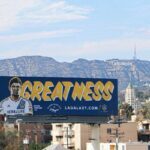 The billboards put up around Los Angeles by his new club referred to him simply as “Greatness” and Steven Gerrard helped reinforce that by scoring an equalizer in the 37th minute of his first MLS match. The visiting San Jose Earthquakes, LA’s California rivals, jumped out to an early 2–0 lead with David Beckham and Landon Donovan in the stands to witness Gerrard’s big night. But Robbie Keane pulled one back with a penalty (awarded because Steven Gerrard took an elbow to the head) in the 30th minute before Gerrard leveled the score just seven minutes later. And it is super duper weird to see him do that in a non-Liverpool kit. In the 64th minute, Gerrard set up Keane to put LA up 3–2, proving that their six months together at Liverpool in 2008 forged a powerful and lasting bond that MLS simply cannot handle. 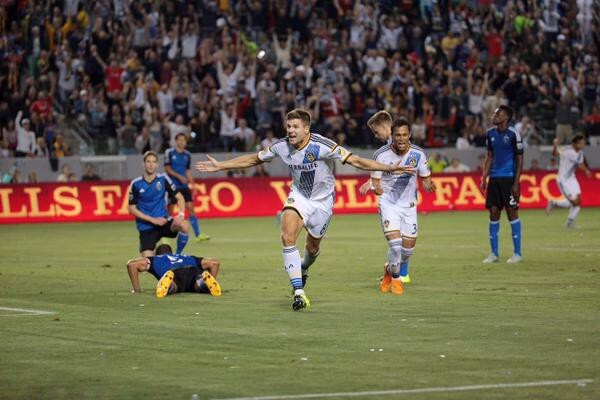 Keane went on to complete his hat trick in the 80th minute and LA won 5–2. After the match, Gerrard revealed that he was wearing Liverpool shin guards. Because while his heart, mind, and soul now belong to the LA Galaxy, his shins will always be red.